I am usually sceptical of bean bag chairs – they aren’t high enough for me to use in my office, not to mention that they aren’t very spacious, so I don’t feel as comfortable as initially expected. 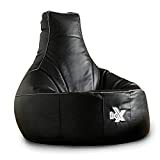 The idea that a bean bag could be used as a gaming chair seemed laughable to me, but much to my astonishment, the i-eX Gaming Chair was up to the par. Despite being a bean bag chair, it provides just the right amount of space to feel comfortable, plus it has excellent back and neck support, which is a definite benefit for the avid gamer, like me. I’ll be talking about my experience using the i-eX Gaming Chair below. 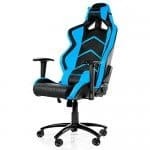 I was very pleasantly surprised with the design of the i-eX Gaming Chair – except for the seat, the design is nothing similar to the bean bags that I’ve used in the past. The back of the chair is significantly higher than the seat, slightly bending outwards, which offers great support for your neck and back, unlike the average bean bag. 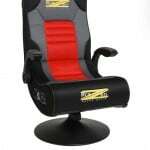 The seat is perfectly designed to let your body naturally find that gaming sweet spot, the position that provides ultimate comfort holding a console controller for hours. The sides of the chair are slightly higher than the seat, which allowed my elbows to sit very comfortably, taking the strain out of my arms. 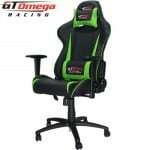 For the first hours of using the i-eX Gaming Chair, I was extremely satisfied. I dropped out burns onto it for several hours, but never once did I squirm for a better position. And since the seat is extremely spacious, I am sure that it will conveniently accommodate every gamer without even the slightest issue. 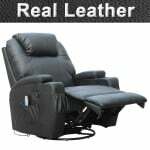 The chair is covered with luxury faux leather, which is quite thick and not as prone to damage. Again, Toby wasn’t able to puncture the cover with his claws, which clearly shows that the chair will last for quite some time. It seemed very solid, and for just £64.99, it certainly was a great deal! 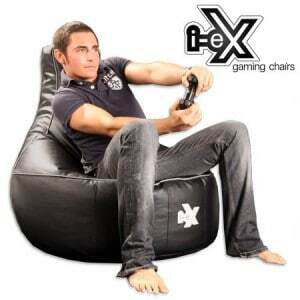 In terms of cons, there isn’t much I can say about the i-eX Gaming Chair. When I first opened the box it came in, I noticed that the faux leather had a chemical smell, just as if it was a cheaply made chair. Even after several months of use, the smell didn’t go away. I used a fancy chemical product to carefully wipe off dirt, and that seemed to help a little, as the chair didn’t smell as much. I also noticed that the upper part of the chair wasn’t completely filled, which kind of defeated the purpose it was designed for: to offer good neck support. I was comfortable anyway, so I don’t complain – although a little more filling would have been significantly better. 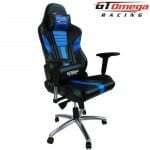 I was very pleased with how the i-eX Gaming Chair performed in general. It certainly has a very unique design that keeps you comfortable, and the quality of the materials is unquestionable. 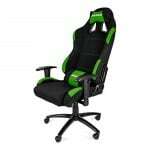 I haven’t tried gaming 24 hours to verify their claims, but I’m sure that the chair can do well, and I strongly recommend that you buy it for yourself as a gift if you’re hunting for a truly comfortable gaming chair to sit in. Your review has given me peace of mind that I have made the right choice.